Gym sesh to cardio regime to kale smoothie and everything in between—you define your roll. When it’s time to shift gears and stroke the pedals, the all-new Devinci Hex is here to add a fresh perspective to your daily shred. 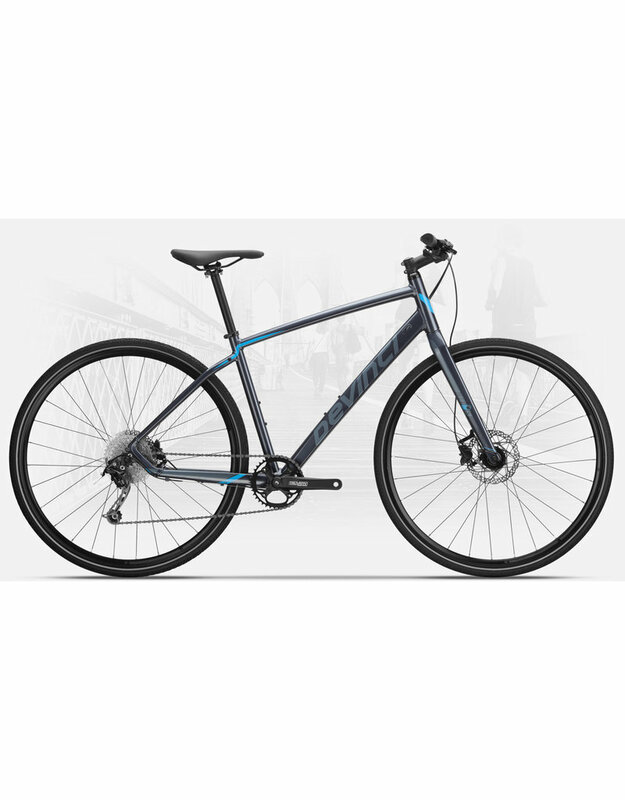 This fitness focused machine features road bike-like efficiency thanks to sleek, speedy Double Butted Optimum G02 aluminum frame tech. The full carbon fork is light and responsive for fine-tuned handling.